The Moon in Cancer is in a cardinal water sign and is in its own element, so it is where the Moon is most naturally Moon-like. 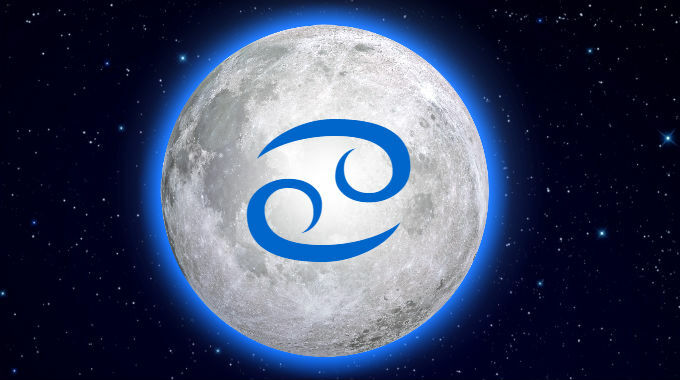 So people with the Moon in Cancer are classically protective, nurturing, empathetic, sensitive, receptive, reflective. People with this placement have the potential to be caretakers or protectors of a ‘tribe’, family, community or cause. While being caring and compassionate is a potential result of this placement, there can also be the tendency to be overprotective and smothering with your care and concern. Sometimes this nurturing streak can be linked back to early experiences where they had to assume a parental role earlier than expected, or under the care of extremely involved parents. This is especially true if you were born at night and/or with Cancer Rising. If you were born at night you will tend to exhibit more of the positive qualities of this placement, and potentially more than your Sun sign. If you were born during the day you will tend to exhibit more of the difficulties associated with this placement and identify more with your Sun sign.